Victim Sinai Kantor was a Russian-Jewish immigrant hoping to start a new life in America with his wife, Miriam. 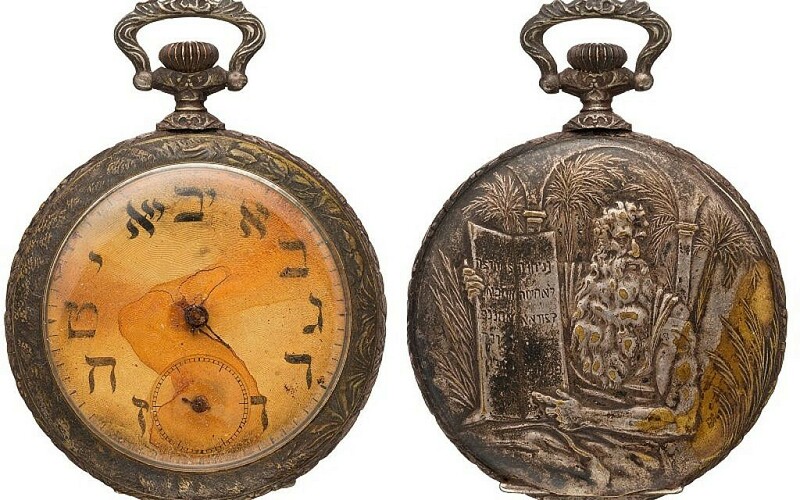 A silver pocket watch with Hebrew numerals recovered from a Russian-Jewish victim of the Titanic disaster is expected to fetch more than $20,000 (£15,728) when it goes under the hammer this month. Sinai Kantor, 34, from Vitebsk, Russia, was hoping to start a new life in America when his life was tragically cut short after the RMS Titanic collided with an iceberg in the North Atlantic, on April 12, 1912. A furrier by trade, Sinai was travelling with his 24-year-old wife, Miriam, and intended to sell trunks of furs to fund their goal to study dentistry and medicine when they arrived in the Bronx, New York. They paid £26 for ticket No 244367 and were among 285 Second-Class passengers, having boarded the ship together in Southampton, England. Following the collision, Miriam was ushered on to lifeboat 12, one in which men were prohibited from entering because of a “women and children first” protocol for loading lifeboats. Roughly 30 passengers were in the lifeboat when it was lowered off the port side, but survivors made room for about 30 more. According to official reports, it was the last boat to reach the rescue ship RMS Carpathia after 8am. A cable repair ship named the CS Mackay-Bennett arrived eight days later to recover as many victims as possible. Sinai Kantor’s body was pulled from the icy water during the gruelling, seven-day operation. He was labelled “Body No 283” and embalmed on the ship. He is buried at Mount Zion Cemetery, Queens, New York. After extensive legal effort, Miriam received the rest of her husband’s effects, which included clothing, his Russian passport, a notebook, money, wallets, a “silver watch,” a telescope and corkscrew. The Swiss-made, open-face silver-on-brass watch, with its original movement and a diameter of three inches, includes numerals that are Hebrew letters. An embossed design on the back shows Moses holding the Ten Commandments. 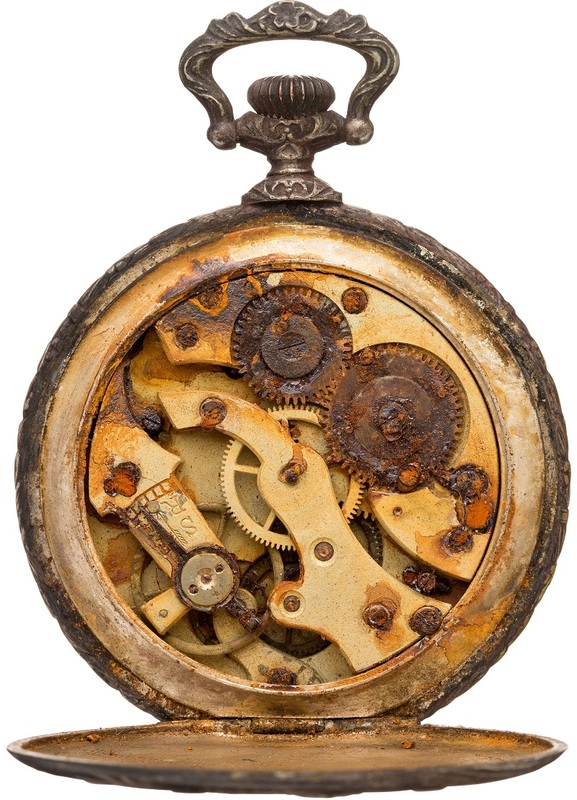 The watch’s movement is rusted as a result of immersion in salt water, the hands are nearly all deteriorated and the dial is stained. Don Ackerman, historical consignment director of Heritage Auctions, said: “The sinking of the Titanic is one of the greatest tragedies of the 20thCentury. Kantor’s pocket watch will go under the hammer at Heritage Auctions in Dallas, Texas, on August 25.